Actually Wing Chun Martial Art is the best Martial Art! 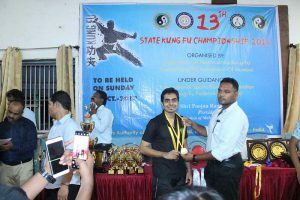 As of today we may claim that Wing Chun to be the best choice as a martial art, but this may depend on the person who is choosing it so I will make a small general comparison in this article depending on the person choosing it. 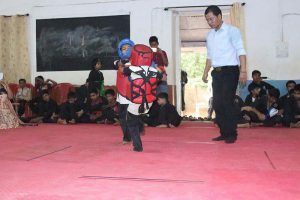 Why does a person learn a martial art? For self-protection and safety, for harming somebody who has hurt him or her, for health and well being, as a curiosity or as physical culture, to discipline one’s body. 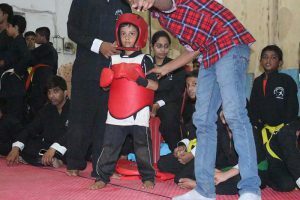 However, out of these reasons the one of harming others can be discarded as in all martial arts it is taught that it can only be used in two cases – to protect from violence by others on you or your loved ones or for the common good. 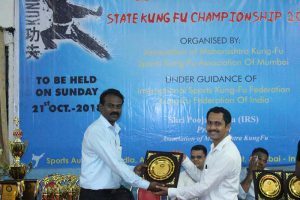 For learning to practice physical culture it is experienced that Wing Chun is good for health in all senses of the word and all body systems. Whether you consider karate, jujutsu, judo, kickboxing as martial each has its benefits. But I would as a comparison argue why Wing Chun is the most popular. The jiu-jitsu and judo techniques are mainly dependent on the attacker’s stance, blows and body positions. That means if he is knowledgeable about these techniques he may defeat and also harm you. 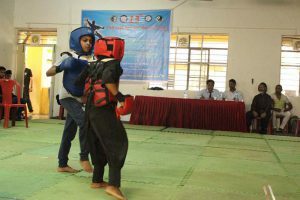 The Indian school of Kalaripayattu(short form Kalari) is a South Indian martial art originating in Kerala and Tamil Nadu in 3rd century BC to 2nd century BC. It uses certain times swords, spears etc. This does not suit the ordinary person. Also it has three sub-schools: Arappa Kayy, Pilla Thangi, and Vatten Thiripp. Attack, defence and a combination categorise these of these two. Thus it’s a bit different and what with weapons also involved, many do not prefer it. Also, it’s teaching is restricted to some regions of south India. So universal acceptance is not there. That is why it is not so popular. 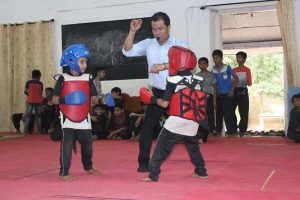 The Karate techniques have many subsets – though it is popular making a choice is a bit hard. Also the tough training does not agree with everybody. 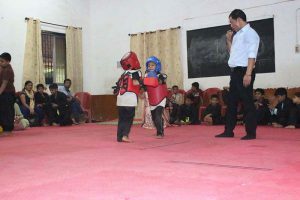 Karate is at present mainly a striking art using punches, kicks, knee strikes, elbow strikesand knife-hands (open-handed). There are other methods like spear hands and heel strikes too. In some styles variations are also there incorporating different styles. Local flavours also exist. So, the universal appeal is gone. That is why it has not come out favourite these days. Most of the people’s awareness is just at the crude level. Most don’t think how awareness will help them in life. While training for Wing Chun stress is laid on spatial awareness. To judge your opponent, you need to judge distances and objects around you – how far away they are. Looks like an obvious thing – doesn’t it come naturally? Do we need to do it deliberately and train for it? Yes, we have to – we are incomplete without it. As you learn spatial awareness you also learn that how objects affect you and how you can protect ourselves from things moving around you, your reflexes become sharper, coordinated and more efficient, with the result that you are safe from sudden influxes of objects moving towards you. You learn to “see” with your body. Wing Chun is an excellent way to improve your posture. It needs for you to become posture conscious and maintain a stance out of habit and due to exercise. Earlier too, you were doing it but not consciously. Now in training you are doing it consciously and deliberately, through scientific practice. So, it just registers strongly in your mind and turns in your body deeply, so that it will be there all your life. A proper posture improves breathing and circulation, makes the spine stronger, steadies your body and balances the nervous system. Now nobody undervalues discipline in their lives, but neither anybody practices in this age of uncertainty and insecurity. It’s a need felt by everybody, but how to learn it? 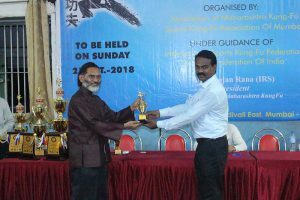 Wing Chun teaches you to get it in a fun way – you will enjoy it so much and realise its benefits that you will start wondering why you did not do it earlier. 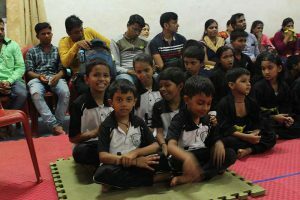 The exercises and movements make it necessary to be disciplined – you must do it regularly with the company of other learners. It becomes a routine which you go on to like it the more you do it. 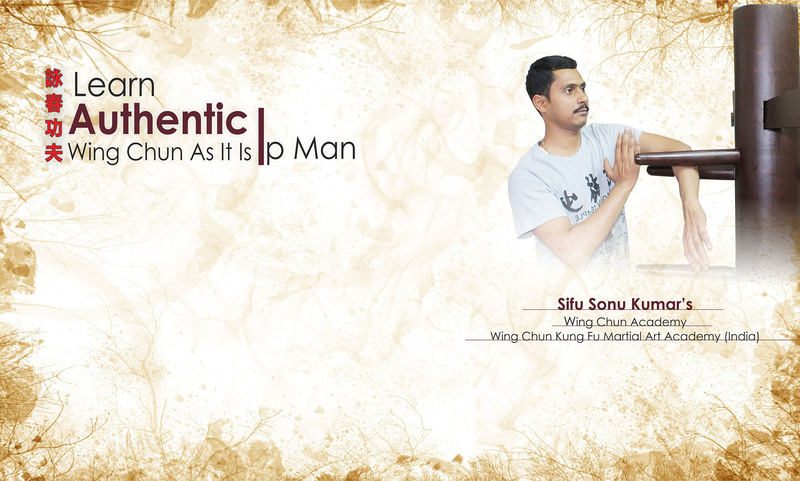 One more thing which appeals to everybody is that Wing Chun is logical and scientifically proven. 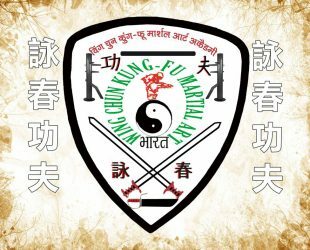 The principles of mechanics and physics are the basis of governing most of the techniques of Wing Chun. Since it appeals to logic, it is easily understood and the thing which is easily understood is also very easily remembered. And then the training and its practical use also go like a breeze. 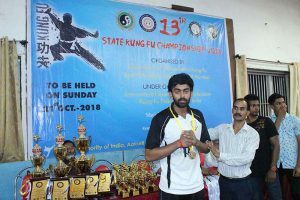 Rudra Chandane with gold medal. 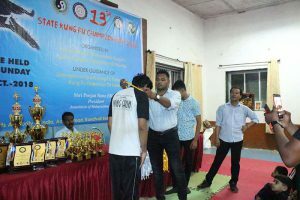 Suresh Jaiswar with Gold Medal in championship. 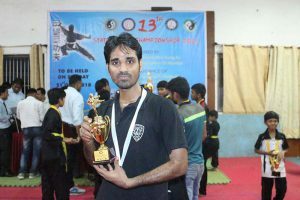 Hitesh With Gold Medal in TauLu. 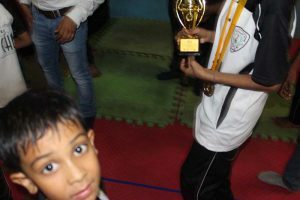 Deepak With Gold Medal in Championship. 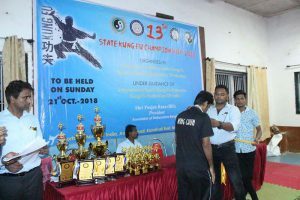 state kung fu championship 2018. 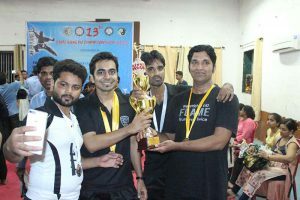 Mukup Purohit with Gold Medal. 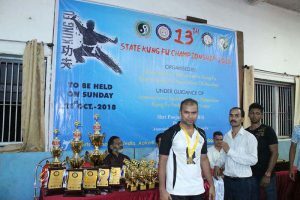 Suresh Jaiswar with silver Medal. 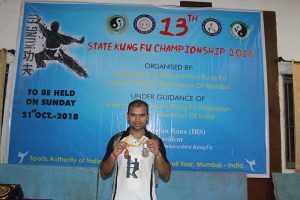 Sandeep Padia With Gold Medal. 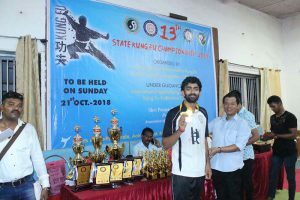 Kum Kum Gupta with Gold Medal. 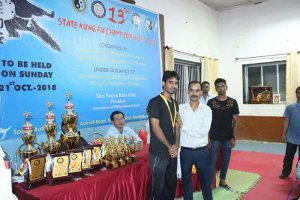 Sifu Sonu Kumar Giri Receiving Award In Championship. 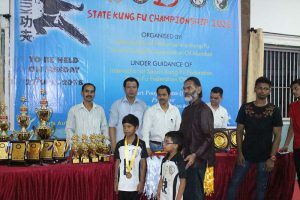 Tulshi Ravidas receiving Award in championship. 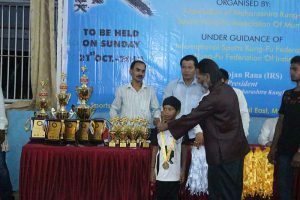 Siraj Ahmed receving award in championship. 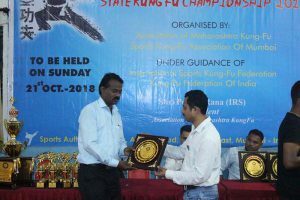 Rajeev Kadam Receiving Award in Championship. 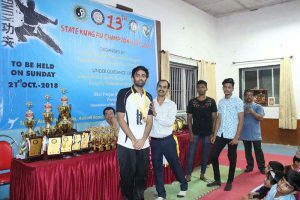 Sifu Sonu Kumar With Wing Chun Team, Maharashtra. 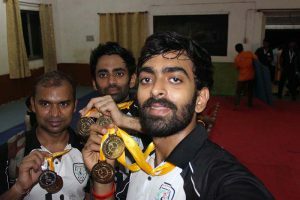 Raj Kumar with Bronze Medal. 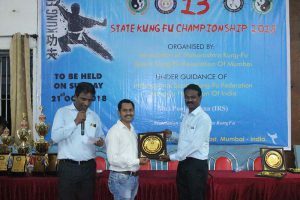 13th state level competition was organized by the Association of Maharashtra Kung Fu at sports Authority of india, kandivali Mumbai. 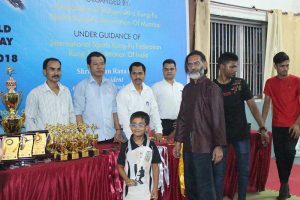 Children’s talent was seen in the competition, which was a lot of praise, Students of Wing Chun Kung Fu Martial Arts Academy won 04 Gold, 2 Silver, Bronze Medal in Fight, Students were also delighted in the trainers as well. 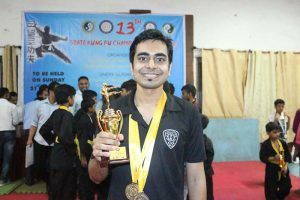 Rudra Chandane – Gold Medal. 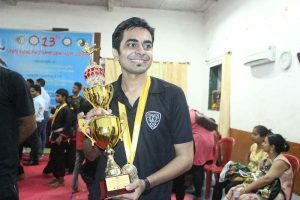 Kanishka Giri – Gold Medal. 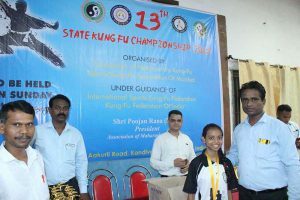 Kumkum Gupta – Gold Medal. 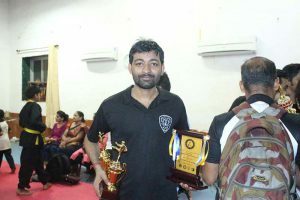 Kavishka Giri – Silver Medal. 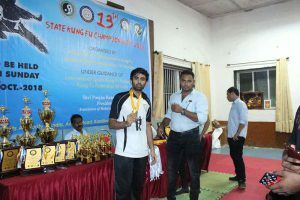 Shreysh Ingle – Bronze Medal. 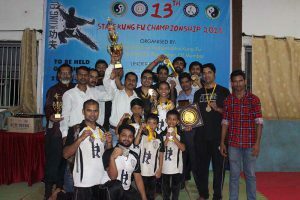 Wing chun india kids team. 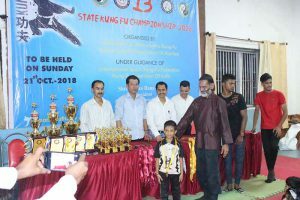 Wing chun kids in kung fu championship. 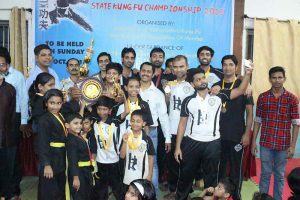 Wing chun kids in kung fu championship Mumbai. 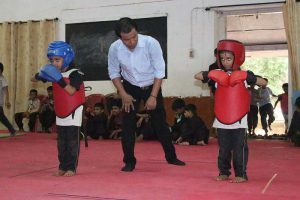 Wing chun kids in ring. 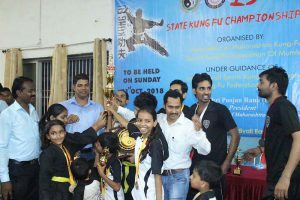 Wing Chun Kids Ready to Fight. Centerline Advantage’s In order to defend against a hand attack in the proper Wing Chun manner that is, using Angle Structure to overcome greater force’s the student must combine certain elements of the Centerline Theory and apply them instinctively with proper technique, power and timing in one smooth motion supported by the appropriate footwork to create optimum Centerline Advantage. 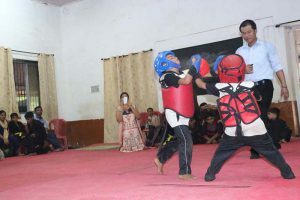 For example, when an oncoming punch from the opponent viewed by the Wing Chun fighter as a horizontal pyramid is launched, the Wing Chun fighter quickly and instinctively sizes up the situation and identifies the pyramid structure of the punch. He simultaneously processes that information and projects whatever Defense Pyramid he selects as most appropriate for the situation. Because the Wing Chun man is always conscious of the Centerline, he already knows where to focus the energy of his defense hand: to a point between the tip of the Attack Pyramid and the Centerline. By doing this, he is combining the idea of the two colliding pyramids deflective reaction with awareness of the Centerline Plane, which tells him in which direction he should guide that deflection. 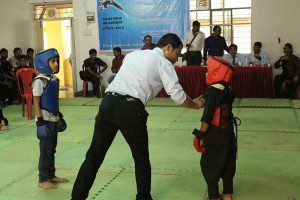 Counters to Attacks with a Knife is most important part in self defence & Without any doubt whatsoever the best method of defending yourself against a knife attack is not to get into a position where such a defence becomes necessary. but should self-defence become essential against an armed aggressor, there is no doubt that. the trained kung fu exponent should stand a very good chance of corning out safely, and a better chance than any man unversed in the art of kung fu. 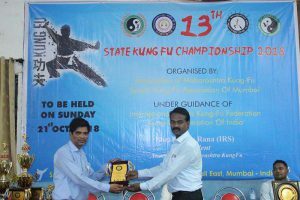 You will remember that self-defense is based the basic principles of kung fu so for that reason you will. find that these counters against knife attacks are very similar to throws and locks already described. The first defence is that used against a straight thrust at your chest or stomach with a knife and is similar to that for a punch. Of course at first the main consideration is not to apply a counter but to avoid the thrust and for tb is reason you turn your hips to the right, assisting this movement by stepping forward with the left foot, advancing the left hip and drawing back the right. This allows the knife to pass harmlessly but to ensure that it does so, you push the attacker’s forearm away to your right with your own right forearm with your hand down and if you ward off the blow with a sharp cutting movement from the honey part of your forearm the pain will probably disarm him. Now that the immediate danger has passed the time has come to apply a counter. 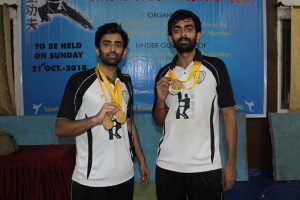 Grip the attacker’s wrist or forearm with your right hand by sliding it over his arm and help it to continue in the direction of its thrust at the same time you should make turn to your right pivoting on the ball of your left foot and. bringing your left hand down on your opponent’s right elbow to disable it. Alternatively. 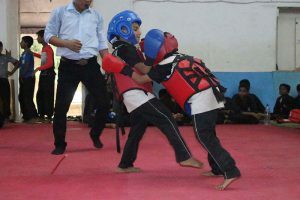 if you wish you can continue the pull to his front with your right arm and maintain the downward pressure with your left until he is forced to the ground where you can finish him with a blow or an arm lock or simply disarm him. At first you may find difficult grasp your opponent’s right arm after you have parried his blow. Actually ‘it is quite simple if you parry with your right arm so turned that you use the sharp edge of your forearm with your palm turned towards you, fingers downward. Now you should find it easy to slip your hand over the top of his arm and obtain a grip. Even should you still find this difficult at first, practice will overcome the problem. 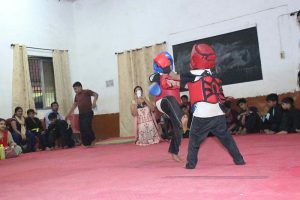 An alternative counter to this form of attack is to use a Hip Throw. Step in with your left foot and parry his arm with your left forearm, to your left. 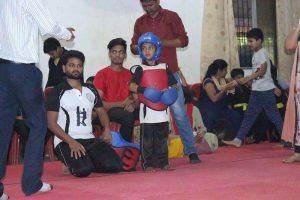 You will find that your step in and the momentum provided by his own effort, will bring him close to you and you will be ~n an ideal position to slip your left arm round his waist, pivot on your right foot, to your right and apply a hip throw on the reverse side. Similarly a hip counter to the normal side, turning to your left, can be used. 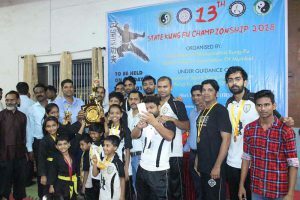 Wing Chun Kung Fu Martial Art Academy, India. 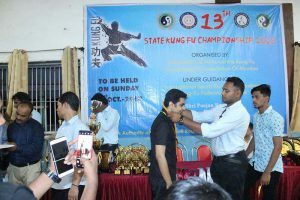 Aim of Article : Only improvement in technique who is the practitioner of martial Art / Kung Fu / Wing Chun. 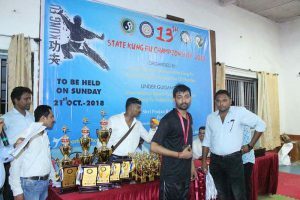 Wing Chun is a Chinese martial arts and well known as a Chinese boxing, basically wing chun’s maximum techniques are based on hand movements, wing chun system have many blocking and technique. i.e. lap sau. An elegant rolling and rising hand (bong sau block) that deflects upwards with accurate angle a center line punch to the face. The horizontal blocking forearms rotted as it rises. Increasing deflection energy. Attempt to poke at a spinning drum with a stick will show how the principle works. Mid-section blocks generally use the forearms because they are fairly long sweep a wide area clear, whereas hands are seldom longer than 220 mm, so blocks which use them must be very accurate. Forearm blocks use a windscreen wiper action, striking the attacker’s forearms with the thumb-side of your wrist. Alternatively they use a clubbing action that swings your forearms into the side of centerline punch. Advantages of the lap sau : Circular blocks sweep a very wide area and can be effective against all types of attack. Their principle can be illustrated by straightening both arms and then circling them in opposite direction across the front of your body and face. Important : use the forearm in an upwards rolling manner to deflect an attack. This is an effective short range block, Wing Chun Blocking system. 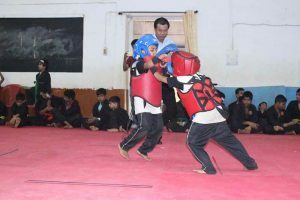 Although this technique is very effective in real life for self-defense and has many advantages, as we use this technique, we are neglected on the reaction, because we have absolute control over the opponent. This technique does not let the opponent escape from us, etc. 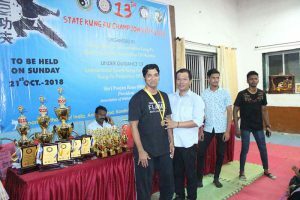 Lap sau technique is very important technique among the basic techniques of Wing Chun, which must be practiced well. 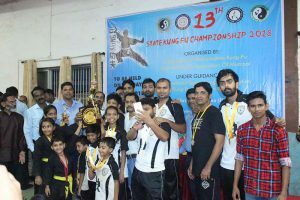 Wing Chun Kung Fu Martial Art Academy, India Team. 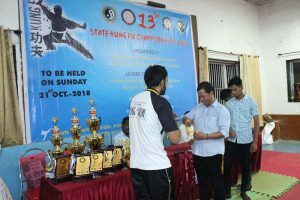 Siu Lim Tao is the first form of Wing Chun kung fu system. Siu Lim Tao means “The Little Idea for beginning”. 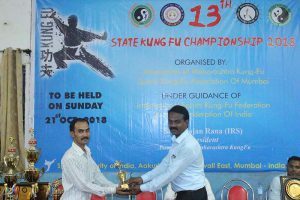 This is Seed of Wing Chun kung fu. 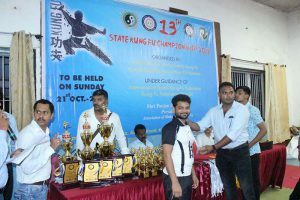 It is also called as foundation of Wing Chun system, foundation of correct stance, correct hand position and basic fundamental techniques. Siu Lim Tao is taught in three different part, each part has its own significance. First Part: First part mainly focus on developing good and stable posture or stance, relaxation, and developing “chi Energy”. The first part is perform as slowly as possible and effortlessly which mean while performing you should be slow, stable, awake, focused and without using muscle power. This part is also considered as preparatory steps for Chi Meditation. At the initial level it is practiced without acknowledging our breath and focus only on movements and hand position. Once we have stable posture and mastered the relaxation technique taught earlier then we can practice the same first part focusing on our breath. As we start practicing first part concentrating on our breath, we experience different feeling related to energy at different level of practice. It is very common that few student feel warmth or cold depending on individual practice and aura. This is the base and more importance should be given to this part as compared to other. Most of the student feel swinging in air when practiced with closed eyes. Every student feels it differently depending how he practice on day to day basis. The first part give more importance on Centerline punch, its position, placement, grabbing and how it should be executed. 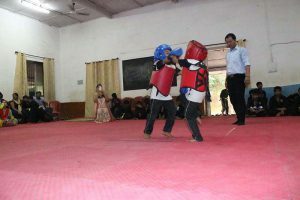 Apart from that this part put more emphasis on Tan Sau, Fuk Sau and Huen Sau as well and teaches the student to its correct placement and movement. 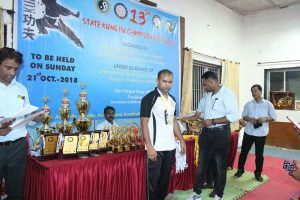 One can learn and master these movement under the guidance of qualified Wing Chun instructor and reap the benefits of it. Second part: Second section explain the release of power which was created in first section. We start with both hands at a time while maintaining a balanced structure. More emphasis is taken on releasing power while keeping our body completely relaxed. 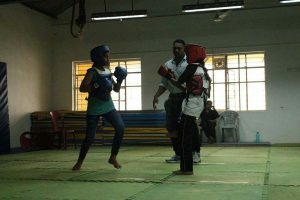 This part teaches the student that how and when to release energy. This is very important step as without the knowledge of this part one cannot become an effective practitioner. 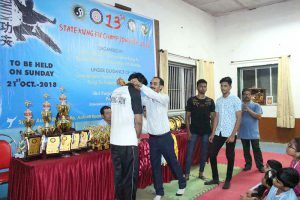 Third part: Third section teaches the basic technique of Wing Chun and all the techniques are performed by one hand at a time while keeping other hand relaxed. 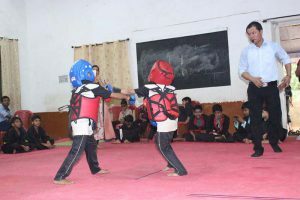 This form is a single man fighting system and teaches the student as how to simultaneously defend and attack a single attacker. This form put more focus on centerline attack and defense without any footwork or movement of body. 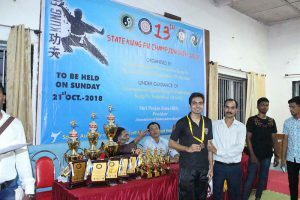 Wing Chun Kung Fu Martial Art Academy, Mumbai.